As part of an ongoing relationship with Hoppecke Batterien, Acres regularly produce a number of bespoke fork truck battery changer units to suit customer requirements. Our product has improved incrementally over the years giving our designers and fabricators a wealth of experience to tackle almost any request. The Acres PU machine is fixed to a PPT (Powered Pallet Truck) providing a fast and efficient mobile battery changing solution for around the clock warehouse operations. The PU is powered by a hydraulic power pack which, in partnership with a pair of powerful magnets exchanges batteries between fork trucks and battery charging racks. 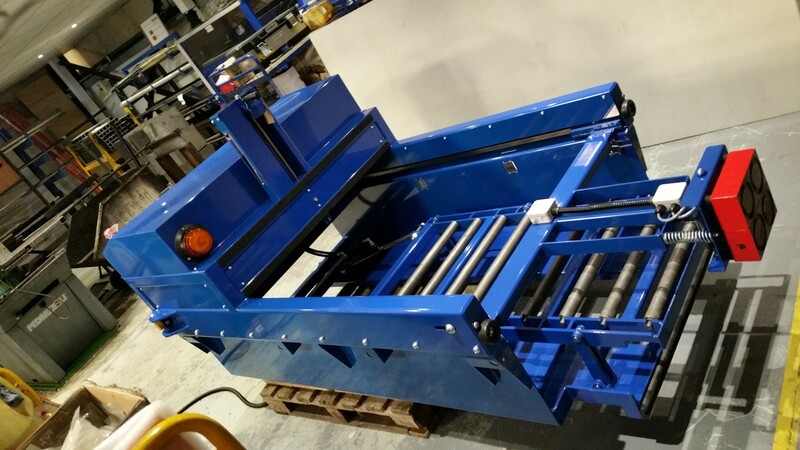 This bespoke design features a dual height bed with extended magnet head to remove a multitude of batteries at a range of roll off heights as well as reach inset batteries otherwise obscured within the fork-truck chassis. This design also features a proxy sensor to detect the magnet safe zone and enable/disable the PPT’s movement ensuring full user safety. In addition a laser guide have been incorporated to assist the operator with levelling the bed and speed up the exchange process. 1/ Additional 3 x proximity switch and reflector. 3/ External contact relay to connect to the PPT. something, green means everything is ok). 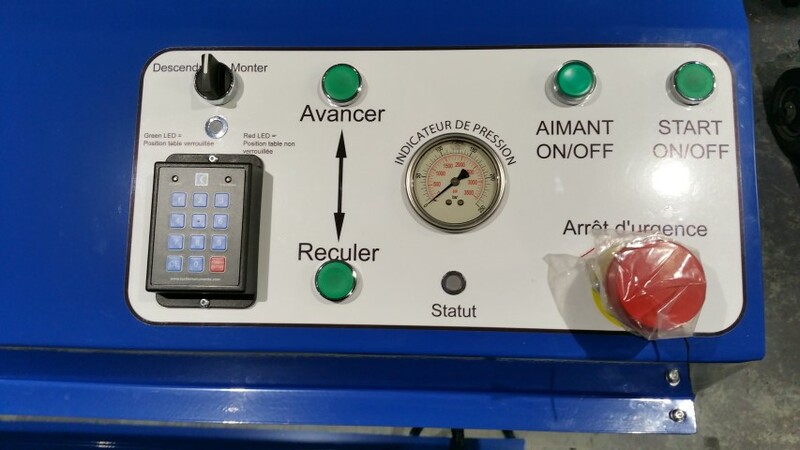 7/ Yellow label around the emergency stop button. bottom position and red when in between. 9/ Proxy sensor to detect magnet safety zone and enable PPT.